Why Canada province Nominee Program is Preferred by Many ? The Canada province Nominee program allows the provinces to nominate the individuals who desire to immigrate to Canada and who are interested in settling in a particular region. The provincial nomination is a prestigious Canada Province Nominee Program allows the provinces to nominate the individuals who desire to immigrate to Canada and who are interested in settling in a particular area. The provincial nomination is an important fast-track option for Canadian permanent residency. One of the objectives of Canadian immigration is to welcome skilled newcomers who would contribute to Canada growing economy. The skilled workers that settle in Canada on the permanent basis especially valuable to the Canadian workforce. The successful applicants of the skilled worker immigration program would receive a Canadian immigration visa that will help them to Migrate to Canada. 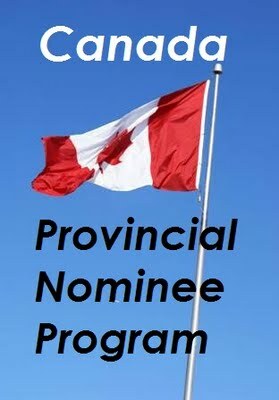 Each Canadian province, as well as one territory, does have its unique provincial nominee program (except for Quebec) which has different selection criteria. Provincial, as well as provincial govt, have been using these programs more effectively and efficiently to welcome newcomers to their regions. Each Provincial Nominee Program has tailored to the province’s /territory’s particular needs to select the nominees who would be able to settle into life and work in the region to actually contribute to the community. The skilled migrants to settle in Canada, before submitting the application to immigrate to Canada, a nominee should first receive provincial nomination certificate from the province or territory. After successful nomination by a province/territory, a separate application is made by citizenship and immigration Canada for your Canada immigration. The local nomination program processing time does vary from on Canadian immigration visa office to another office. Do I require to get an appointment to lodge my visa application? Who else charges nomination application fees?